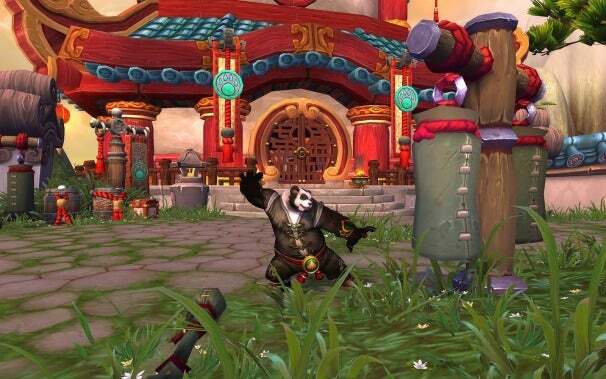 Not content to recreate the entirety of Pokemon inside of their massively popular MMO, WoW has also unlocked a new farming simulator in their latest expansion Mists of Pandaria. This new game and it’s associated faction, the Tillers, have finally shown up in the game’s beta and now we have a look at how WoW’s latest game-within-the-game is shaping up. Farming in WoW takes the form of a player-manageable farm on the game’s new continent of Pandaria. After a short quest line you’ll take control of the farm and begin planting your own crops. You clear a plot on your farm (you start with 4 plots and can eventually expand to 8 and 16 plot fields) and plant a seed from a nearby farming vendor. These planted seeds can have some small status feature that requires you to tend to them with a small task or mini-game, but after they start growing you can simply come back the next day to harvest your crops. Each of these crops can be harvested for the game’s cooking profession, and you can eventually unlock seeds that provide materials for all the game’s profession (with some tongue-in-cheek descriptions of how you manage to “grow” leather and metal). While the farming mini-game has often been compared to Farmville, what’s remarkable about WoW’s implementation is how un-social it is. All farming takes place in an instanced farm unique to your character that other players cannot enter under any circumstances. A more apt comparison is probably the Harvest Moon franchise, as your character slowly repairs a dilapidated old farm and tries to raise a healthy crop of plants with limited resources. The Farmville comparison probably comes from how addictive the farming game can become, as players are encouraged to return every day and plant a new crop so as not to waste any growing time. This is not a new concept in the World of Warcraft; diehard players will recognize a distinct similarity to the tried-and-true daily quests that already exist in the game. And of course, unlike Farmville there's no risk of spoilage; even if you can only return every week or so, your crops will still be waiting for you when you have time for them. Just like WoW.